Middle East Solar Industry Association’s Solar Outlook Report 2017 suggests more than 5.7 GW of solar power – including concentrated solar power – is in the pipeline for the region, with 2017 poised to be strongest year yet. The latest Solar Outlook Report by the Middle East Solar Industry Association (MESIA) has today been published at the Solar Middle East trade show in Dubai, revealing bullish projections for solar PV installations in 2017 and beyond. MESIA’s analysis sees a total solar PV project pipeline in the MENA region of 4,050 MWac in 2017, while the entire solar power pipelines (taking into account concentrated solar power, or CSP) stands at more than 5.7 GW, the report says. Building on the momentum gained in 2016 will be imperative, says MESIA. Last year, MENA posted the world’s lowest solar price at below 2.45 US cents/kWh, and a number of large-scale PV projects were announced in Saudi Arabia, Kuwait, Jordan and the UAE. Looking back at 2016, MESIA’s report finds that the MENA region has 885 MW of solar power capacity in operation, 3,610 MW under execution and 1,300 MW under tender. Looking ahead, MESIA reports that Egypt is aiming to install 2,650 MW of solar PV by 2020, Morocco to have 600 MW of PV by 2019, and Jordan to complete 540 MW of PV – and add a further 200 MW – over the course of 2017. 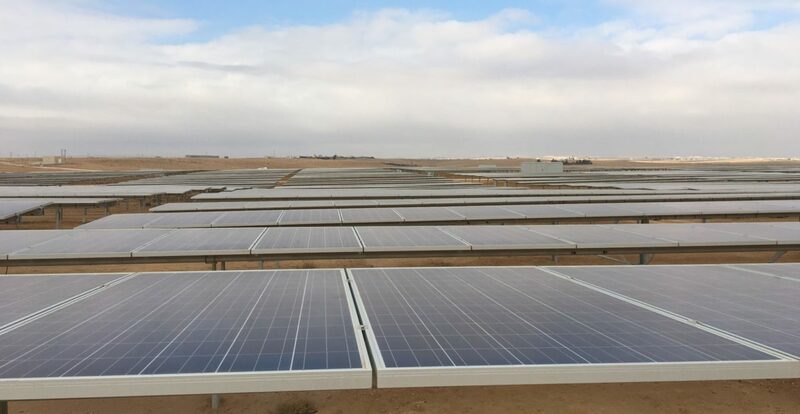 The UAE’s Mohammed bin Rashid Al Maktoum Solar Park has already awarded 800 MW of PV capacity to be installed between now and 2020 at 2.99 US cents/kWh, with the Emirate of Abu Dhabi tendering out a further 350 MW for its Sweihan solar plant. Saudi Arabia is in the process of tendering 100 MW of solar PV capacity, while by the midway point of this year it is hoped that Oman will have launched its inaugural solar PV tender for 200 MW. The UAE has also begun focusing on rooftop solar PV, with 6 MW installed by the end of 2016, according to MESIA. The report finds that a further 70 MW of rooftop PV capacity could be added in the country over the course of 2017.